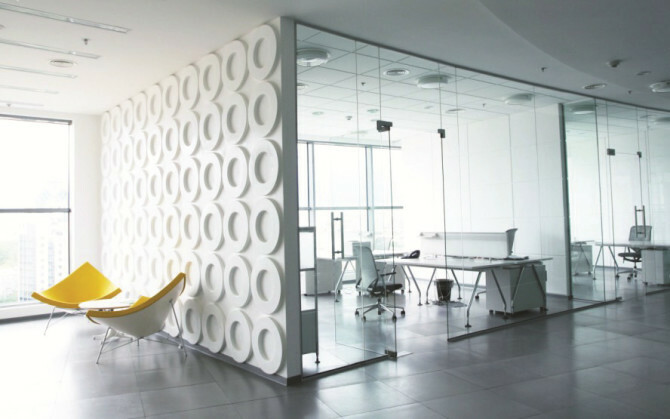 How Well Can Higher Efficiency Filtration Control Particles at High Ventilation Rates in Offices? Ventilation rates in buildings have been traditionally defined by their minimum rates, which are the lower limits to maintain acceptable indoor air quality. For instance, at default occupant densities in offices, the American Society for Heating, Refrigeration, and Air-conditioning Engineers (ASHRAE) recommends in Standard 62.1 a minimum ventilation rate of just over 15 CFM per person. However, newer research is beginning to demonstrate that increased ventilation rates, particularly in office settings, can have many positive effects on occupant wellbeing. For instance, higher ventilation rates up to about 60 CMF per person are associated with reduced sick building syndrome (SBS) symptoms, and higher ventilation rates are also associated with increased productivity, reduced sick leave, and lower prevalence of airborne disease infections. Furthermore, a recent study from a research team led by Joseph Allen from the Harvard School of Public Health found that increased office worker cognitive performance correlated strongly to higher ventilation rates, lower carbon dioxide (CO2) concentrations, and reduced exposure to volatile organic compounds (VOCs). Increasing ventilation rates could have some negative impacts, though. The first negative impact is that it will consume more energy to condition the air to maintain thermal comfort in the space, which has both societal impacts due to greenhouse gas emissions and simply costs more money to the building tenants or owners. However, research led by William Fisk at the Lawrence Berkeley National Laboratory evaluated the costs and benefits of higher ventilation rates over the entire U.S. office sector and demonstrated a net benefit to the business industry of about $20 billion USD when the positive productivity and absenteeism benefits were weighed against energy costs of higher ventilation. A second negative impact of higher ventilation rates is that they can introduce more outdoor pollutants into the indoor environment. According to health and epidemiological research, the outdoor pollutant with the likeliest negative health impact is fine particulate matter (PM), which is the total PM mass with aerodynamic diameters less than 2.5 µm. Indeed, increased exposure to fine PM has been repeatedly associated with higher human morbidity and mortality in multi-city epidemiological studies. Since most human exposure to PM already occurs indoors, increasing this amount substantially is not wise, even to realize other benefits from more ventilation. Fortunately, higher efficiency filtration alongside of larger ventilation rates has the potential to control indoor PM concentrations. Since creating indoor spaces to promote occupant performance by using high ventilation rates is gaining traction as a new design paradigm, we at Drexel University have teamed up with NAFA to explore how well PM concentrations can be controlled by using high efficiency filters at high ventilation rates. Specifically, the general purpose of this NAFA-funded research project is conduct a series of experiments to quantify the effectiveness of higher efficiency filtration to maintain low indoor PM concentrations when high ventilation rates are used in a test building. This field study will be performed on Drexel campus, on the third floor of a building that is served by an independent air handing unit (AHU). An automated sampling system has been built in the AHU, and it can periodically take pollution measurements from three air streams, which are the ambient air, supply air and return air, assuming that the return airflow represents an average state of all third floor indoor air. We will measure particles, as well as ozone and CO2. To assess the magnitude of energy changes in using higher efficiency filtration, we have sub-metered the AHU’s supply and return fans. Also, the energy used to condition the ventilation air itself will be determined from the building automation system (BAS) readings. The specific study objectives are to measure the indoor/outdoor ratios of the above pollutants, the PM concentration changes as the air passes through different filters, and energy usage to move and condition air by the AHU, all while systematically varying the ventilation rates and filter efficiency in the supply air stream, for three-week-long monitoring periods in different seasons. Ventilation rates will span the range between the minimum allowed by ASHRAE and the full amount capable of being delivered by the AHU when the outdoor air damper is fully opened. The different filters will be classified according to the Minimum Efficiency Reporting Values (MERV) defined in ASHRAE Standard 52.2, and they will be MERV 8, 14, and 15. Using the measured data, the monetary cost of using higher efficiency filters will be estimated (considering first costs and fan energy use) and placed into context of the larger amount of total energy needed to achieve the higher ventilation rates. To augment the field-testing, we will use indoor air quality and building energy models to predict the impact of using higher efficiency filtration along with different ventilation rates on indoor PM concentrations and energy use for offices in 14 different climate zones. With this dataset, the impact of higher efficiency filtration on indoor PM in different cities can be calculated. Also, using the energy data, the cost of using higher efficiency filtration (from first cost and operation standpoint) can be compared to the total energy used to achieve the higher ventilation, as well as to the benefits of higher ventilation and filtration on occupant health and performance. We hypothesize that the cost needed for higher efficiency filtration will be small compared to the great benefits realized by better filtration. The outcomes of this work are relevant for understanding the consequences of operating mechanical systems in office buildings that have high ventilation rates with high efficiency filtration in the supply airstream. This project is directly aligned with the NAFA mission—since its findings have the potential to “educate end-users about the importance of air filtration” as building operation strategies generally undergo paradigm shifts and become centered on maximizing occupant health and productivity. Michael S. Waring, PhD is Associate Professor, Director of Architectural Engineering and Associate Department Head for Undergraduates Civil, Architectural and Environmental Engineering at Drexel University.